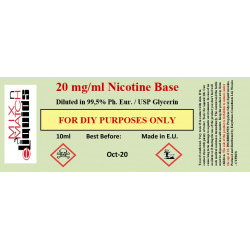 Nicotine Bases Diluted in VG There are 4 products. 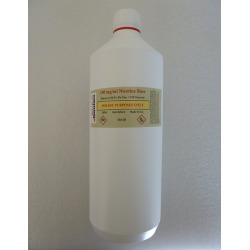 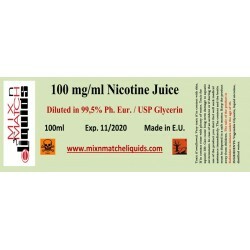 1 Litre of 100mg/ml USP Nicotine solution strength (10.0% Nicotine by weight) diluted in a USP grade carrier base fluid vegetable-derived Glycerin. MAP (Modified Atmosphere Packaging) to ensure freshness.